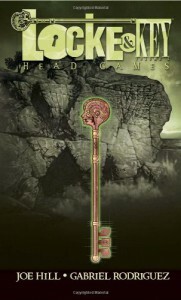 Head Games combines body horror and fear of brainwashing into a very effective horror concept that is particularly well suited to the graphic medium. Bode Locke finds a key that opens up the top of people's heads. Once a head is open, not only can you see a sort of Hieronymus Bosch hellscape of their thoughts, dreams, memories and fears, you can also reach in and change things. Over the course of the story, the changes made using the Head Key go from amusing to alarming to horrifying. Joe Hill crafts a fascinating story in this series and Gabriel Rodriguez's artwork manages to be cute and grotesque all in the same image.